I haven't been producing as much as I was this summer. I know that sounds like it makes perfect sense, but usually my creative resources dry up like a raisin in the sun during the summer, and they plump right back out once school starts and I'm around my creative friends. Well this year, I drew all summer, and I have been too busy drawing for school to work on anything else. Today I was determined to draw artwork specifically for me. Well, specifically for me and Sarah, cause it would have had her character in it too- but you know. 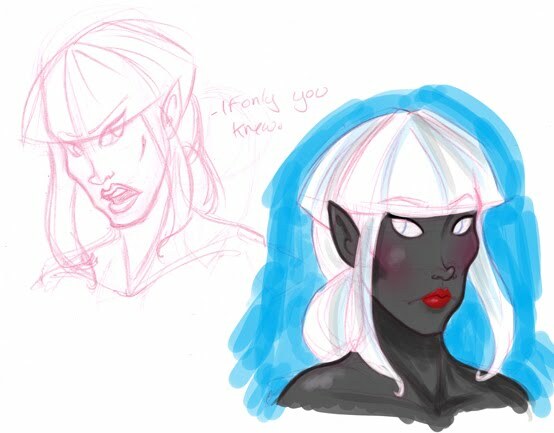 Instead I wound up drawing Tina, trying to figure out how her face works. There are two actresses I think of whenever I think of Tinette. 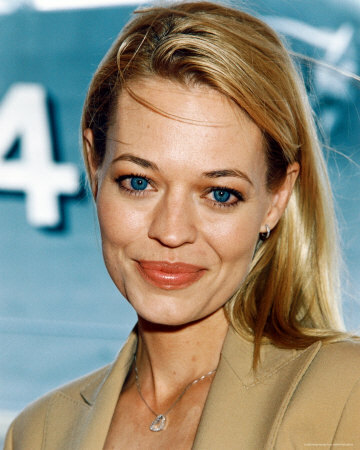 One is Jeri Ryan, who played Seven of Nine in Star Trek. She's gorgeous and has similar facial structure I imagine for Tinette. The character she plays is also like Tina, only Tina is a lot more ridiculously emotional. In a very angry way. She's a lady, what can you do? The other actress is Kat Stewart, an Australian actress who plays the character Billie in the show "Offspring". She has incredibly prominent cheek bones. The first time I saw her, I honestly thought part of her face was missing. She's really beautiful though, so I worked really hard to get hers and Jeri Ryan's features into Tinette's face. If I could only get her to smile she'd have the prettiest smile out there. I really like the new direction that you're taking her.